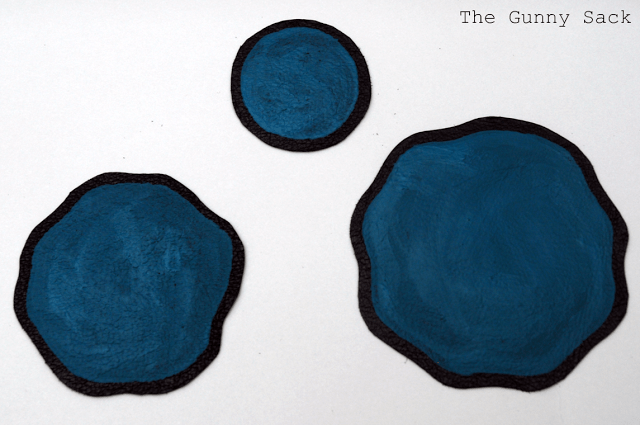 This tutorial was originally posted at the Funky Polkadot Giraffe as the Funky Friday Feature. I wanted to share it here on my site in case you missed it! Find 3 various sized circular objects to trace. I found a plastic cup, a thermos lid and a medicine cup. 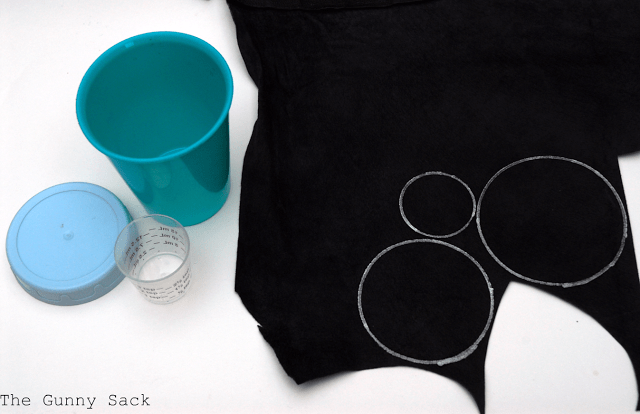 Trace the 3 circles onto a piece of leather. Cut the circles out, making the edges wavy. I left the edges of the smallest one as a circle. Paint the leather leaving a black border. 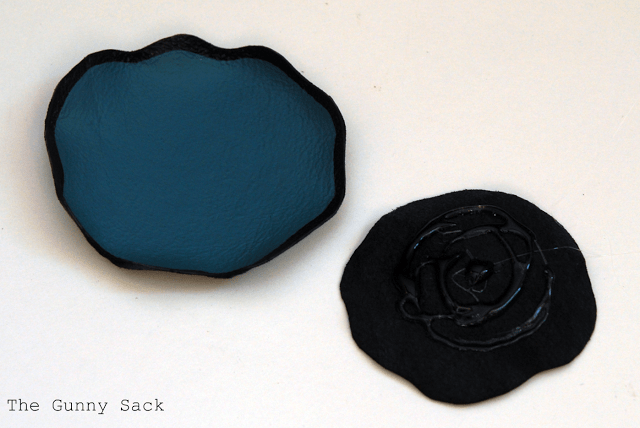 I used teal acrylic paint but fabric paint and leather paint would also work. This is how it looked after one coat of paint. Let the first coat dry and then add a second coat. 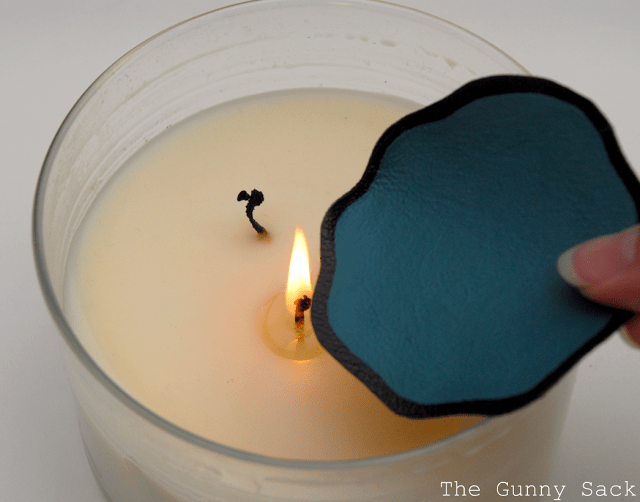 After the second coat dries, light a candle and put the edges near the flame. They will begin to curl up. 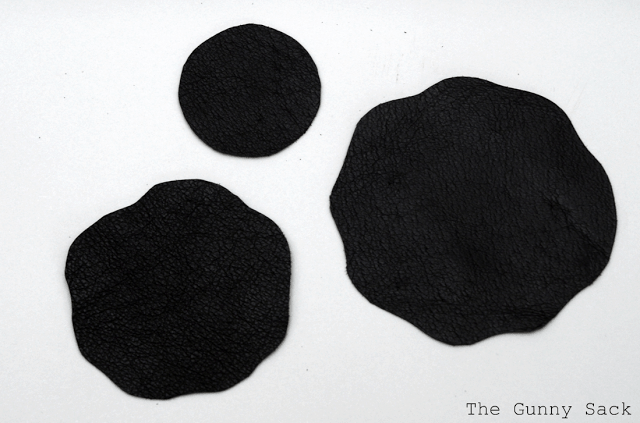 Using hot glue, put glue on the suede but only in the center. You don’t want to completely flatten the flower layers together. Glue a rhinestone into the center of the flower and it is done! You can now use the flower for whatever you want to embellish. 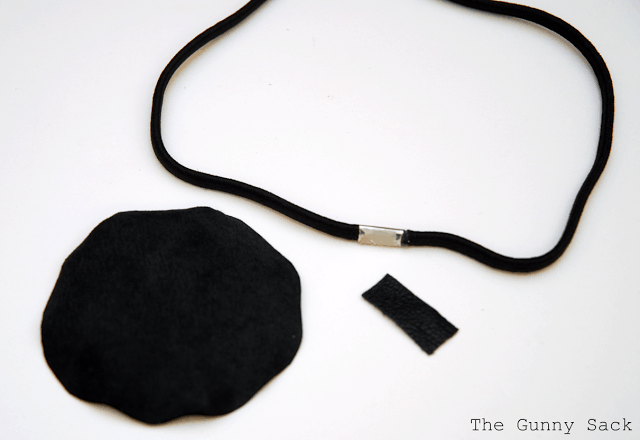 If you want to make a headband, cut a small strip of leather. Hot glue the strip over the headband on the back of the flower. 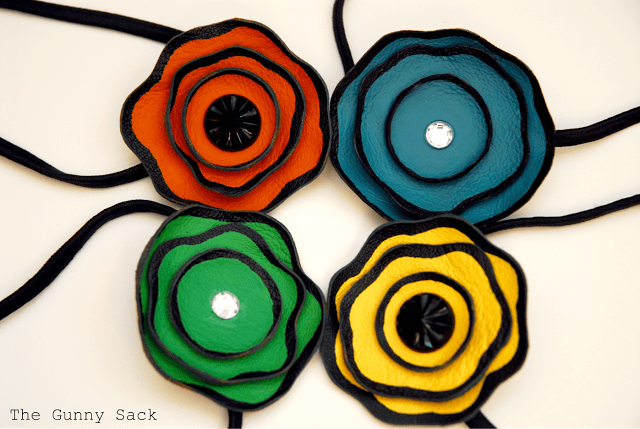 You can also use larger rhinestones in the center of the flower for a variation. Thanks for stopping by today! Do you have any fun plans for this weekend? I am attending a wedding! I’ve tried and I love it, of course yours are really really nice, mine are nice 😉 Thanks a lot for your great idea and tutorial! Have a wonderful day! What a great tutorial! I really want to try this! 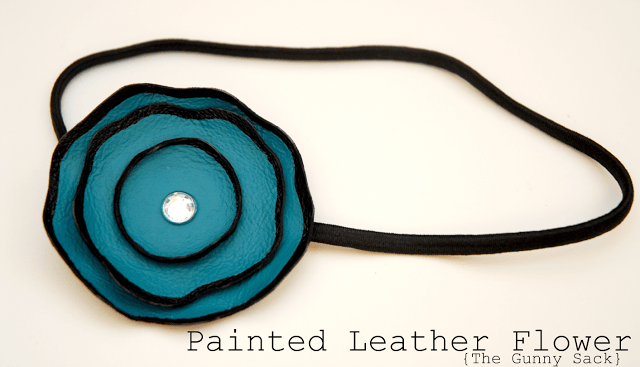 I love this look… and I never thought to paint leather. Brilliant! These are darling! Thanks for linking with us at Show & Share! Just wanted to let you know that I featured this today! Grab a button if you’d like! I have quite a bit of leather scraps I’ve been saving with no idea what to use them for. I think these just might be the thing! Beautiful. How original to use leather for a project like this. 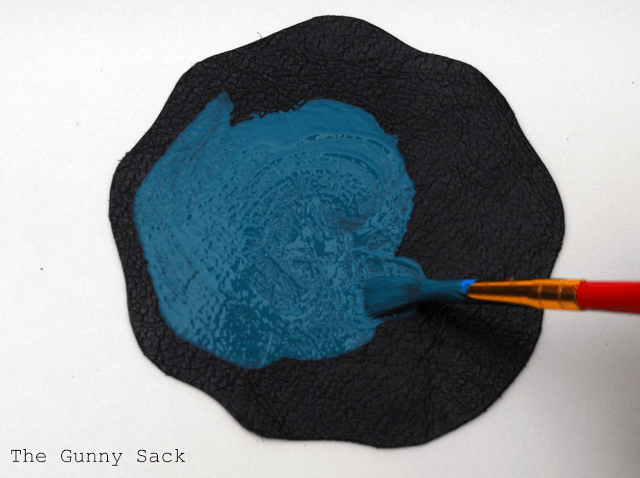 This is so creative–I have used satin before, but NEVER leather! Awesome idea! wow! what fun colors and headbands! I love them! Thanks for letting me know! Come on over and see an amazing fridge and some designer scriptures! So pretty! Where do you get the leather from? I’ve seen small sheets at Hobby Lobby that are pretty expensive but they didn’t have different colors, just brown. Thanks! those are beyond rad! So bright and retro looking! Definitely will be making these soon! 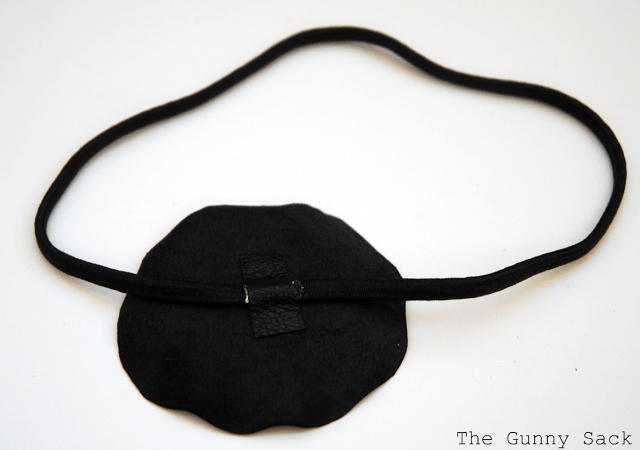 Feel free to link your headbands up to my new Make Yourself Blog Hop! These are adorable! Thanks for the great tutorial! These are great! I can’t wait to show my daughter. We just might have to make these on our next crafting night! Thanks so much for sharing them with us! 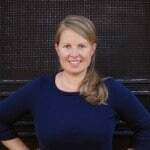 Hello Tonia!I love your work… You are very talented.I stopped by your shop and love the leather shoes for my boy. Thank you so much for visiting and follow Mommyhood’s Diary. Following back!